Have your USS Constitution, and eat it too. 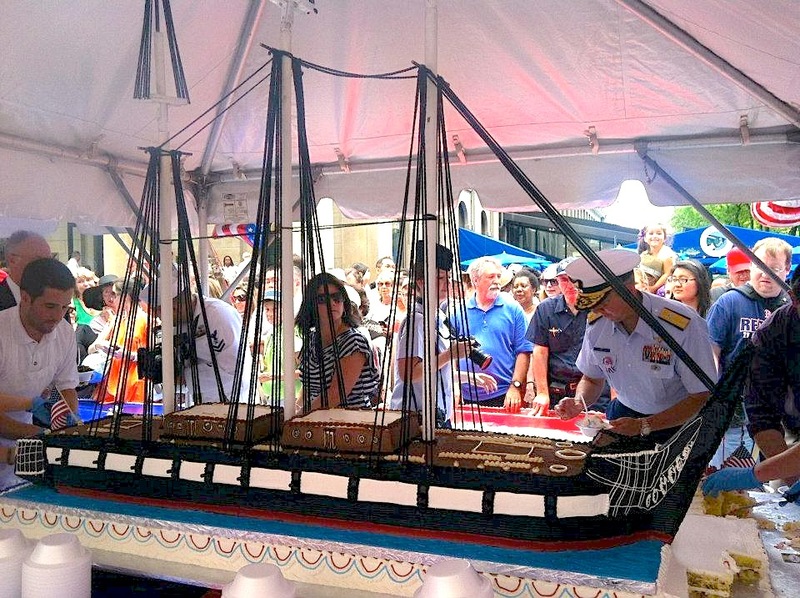 Boston Harborfest began June 28 with a celebration in Faneuil Hall that involved a cake cutting of epic proportions. The cake-replica of Old Ironsides to commemorate the bicentennial of the War of 1812 was made by Montillo’s Confections in Brockton, Mass. The bakery has been designing Harborfest kickoff cakes for 25 years, according to a Boston Harborfest press release. The cake, a mixture of devil’s food cake and white cake, used 100 lbs. of flour, 80 lbs. of butter and 10 gallons of milk. Boston Harborfest continues through July 4 with events like the annual Chowderfest on July 1 and the arrival of the tall ships June 30. See all the events at http://www.bostonharborfest.com.